Big Shelf Collection by LTL Home Products, Inc. Create a wall design with logic, function, and elegance. 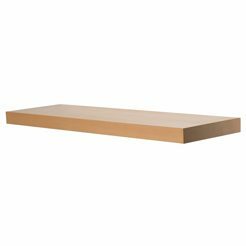 Our Big Shelf collection offers substantial 1 3/4″ thick wood veneer with surprising versatility. 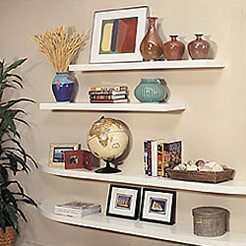 Cover an entire wall, or accent the corner of any room with the smaller curved shelf. 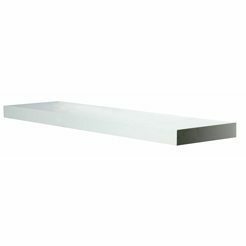 From living rooms, to dining rooms, to laundry rooms, to bar areas, our distinctive Big Shelf collection allows you to create a wall design to suit your needs. 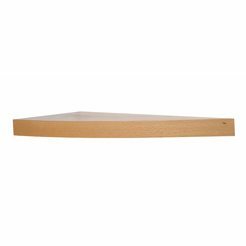 Available in natural beech and white shelves in 10″ depths and in 24″, 36″, and 48″ lengths, with all mounting hardware included.